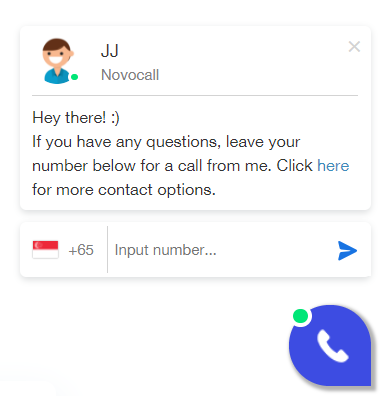 It’s easy to customize the Novocall Widget so that it feels completely at home on your product or site. Here are 2 simple steps to setting up your widget successfully. You’ll find everything you need to customize your Widget in your Widget Settings in the left-hand menu. The first thing that your visitors will see is the greetings blurb from your widget. Here's an example of how the Greetings will look like on your website. 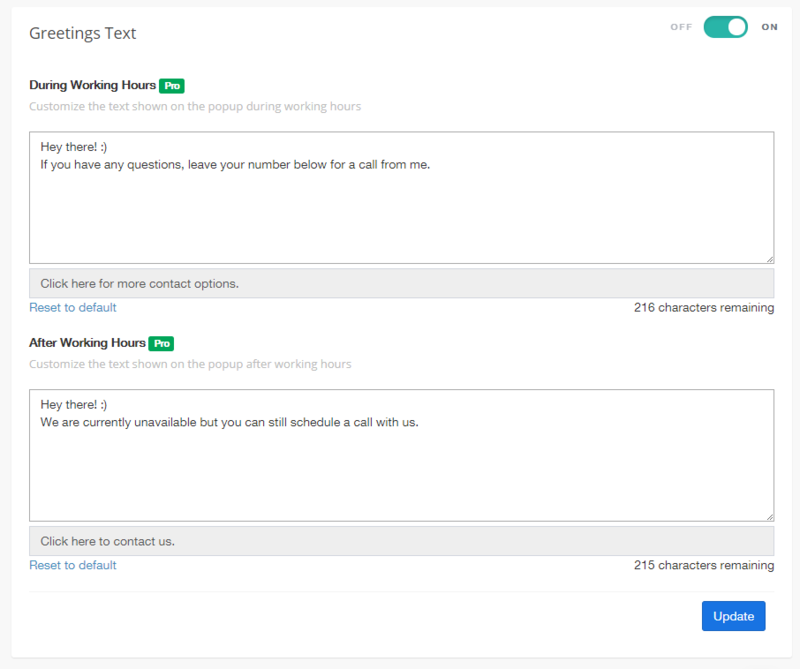 You can edit your greeting to better serve your customers. Find the greetings page "Greetings box" under Widget Settings. Keep your message personal and your customers will be delighted! 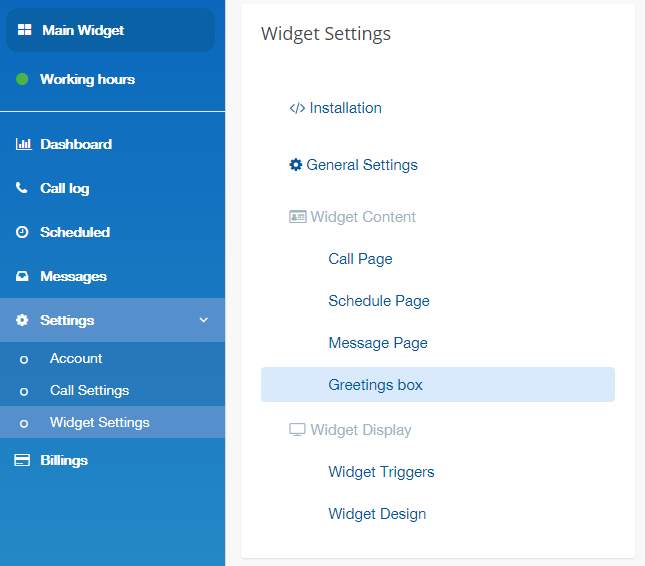 Aside from the greetings page, you can customize the text of your widget, such as the Instant Callback, Scheduled Callback and Message page. Here's the guide. 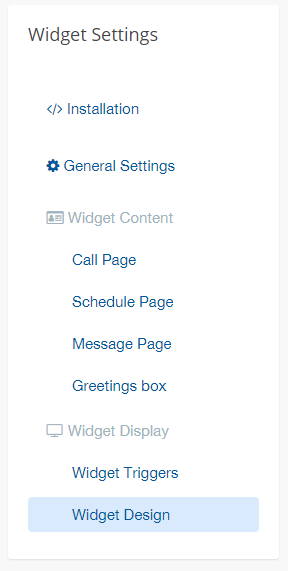 To customize your appearance, navigate to "Widget Design"